today's photo is some flowers that i shot on my walk through downtown last night. 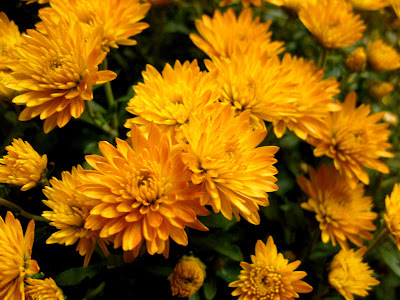 chrysanthemums are very popular this time of year, and can be found just about everywhere you look in all colors and sizes. I like the mums too. I hopped over and checked out the green ones. My wife reminded me that we saw some just the other day. I do have a brain, she's just holding it for me.